Challenge real players from around the world, and make it to the top. Gather your friends and play 1v1 or with up to 6 Facebook friends all together. Super easy controls. Fun & intuitive gameplay. 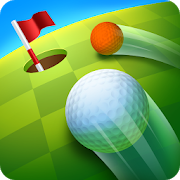 Beat your opponents to the hole and prove yourself king of the golf course!